I wrote this application to calculate the length of the thread needed to hand-stitch your project using the Saddle Stitch. 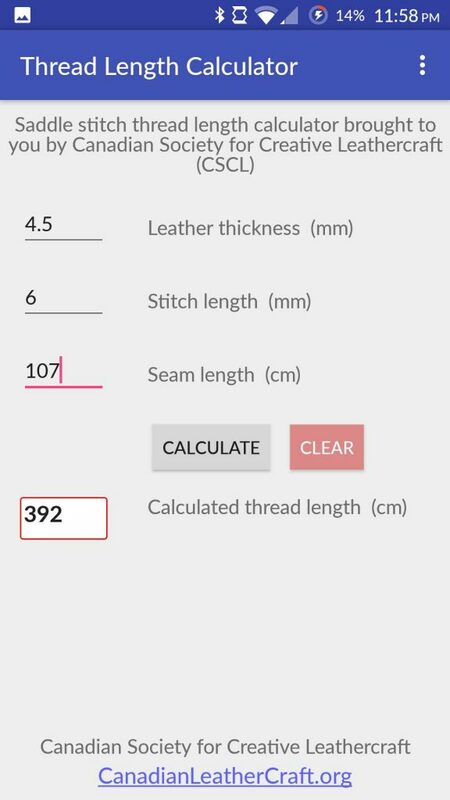 After you enter the parameters of the seam (thickness of the leather, stitch length and the length of the seam) and press the “Calculate” button, the program will show the length of the thread needed. Once installed, it doesn’t require an internet connection. Helps to save thread and makes the hand sewing process easier. Leathercraft tools for carving and tooling leather. Comments Off on Leathercraft tools for carving and tooling leather.